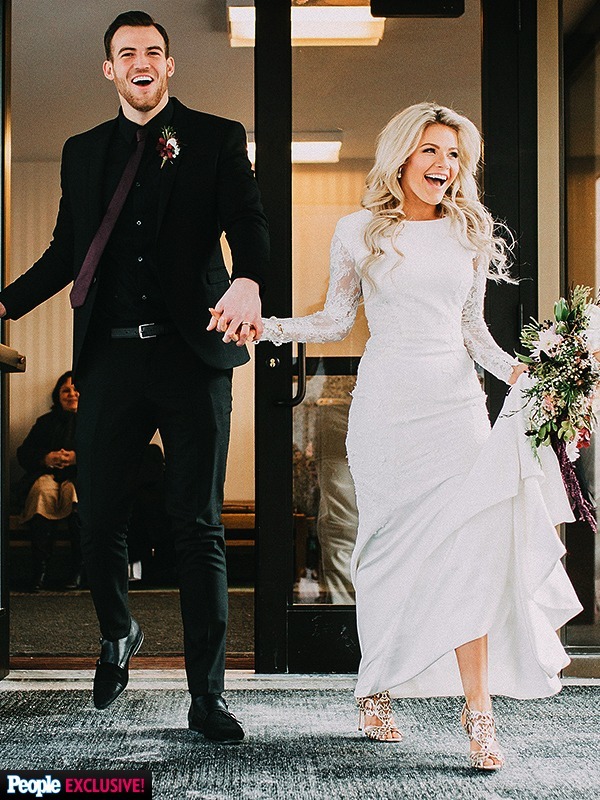 Who doesn’t love a gorgeous wedding gown and a fairy tale wedding? 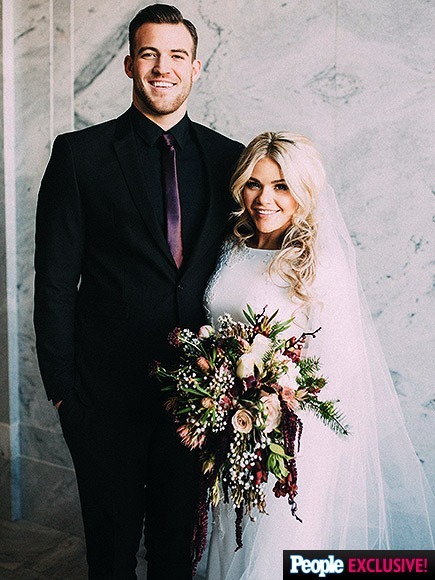 “Dancing With the Stars” pro Witney Carson wed her high school sweetheart (awwww….) 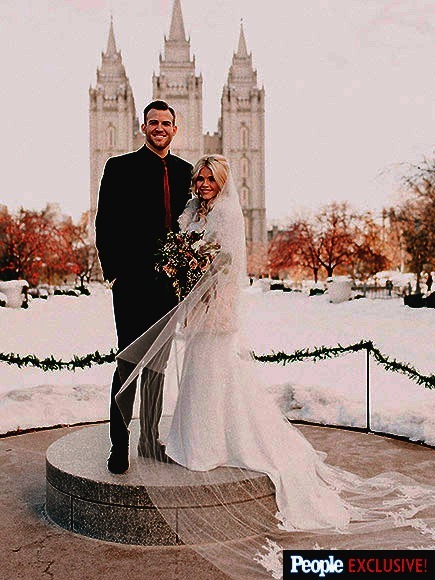 Carson McAllister during a three-part winter wonderland celebration in the Salt Lake City area on New Year’s Day, People.com reports. 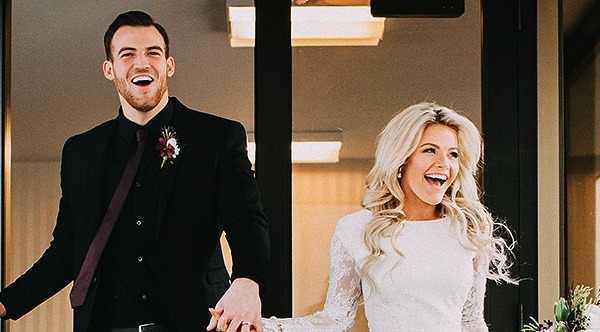 Carson said, “I’m just excited to start our lives together.” They exchanged rings at a small religious ceremony before hosting a large dinner and reception at NOAH’s Event Center in Lindon, Utah. 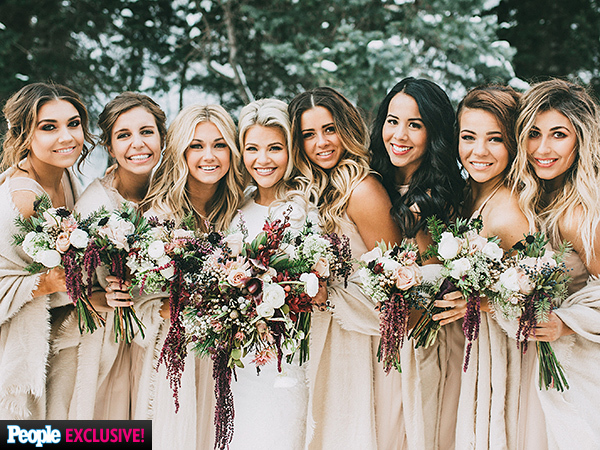 Fellow pro dancers Emma Slater, Lindsay Arnold, Brittany Cherry, and Jenna Johnson served as bridesmaids (in Amsale bridesmaids gowns in a taupe color that fit in with the “winter wonderland” feel of the ceremony.) while former DWTS partner Alfonso Ribeiro and dance pro Kym Johnson attended as guests. 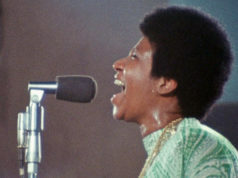 Carson wore a hand-made Rivini gown designed by Rita Vinieris, which featured a long veil and lace detailing along the bottom. The event was organized by celebrity wedding planner Michael Russo. The wedding party were gifted monogrammed clutches (for bridesmaids) and wallets (for groomsmen) by Gigi New York. 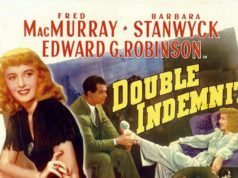 The two wrote e-mails and sent packages to each other but “we had to make a lot of sacrifices,” Carson says of making things work while thousands of miles apart. So sweet. Next articleWhen Is ‘Bloodline’ Coming Back on Netflix?